Based in Kings Langley, Hertfordshire, Chiswell Leisure are well known for swimming pools but are also experts on hot tubs offering options from the Catalina, Garden Leisure and Sundance ranges. Says Chiswell’s Sales Manager, Glynn Pope: “I believe that when purchasing such an expensive and luxury item the customer should feel at ease, they must feel as if they are being listened to and they must feel confident that they are using the right company for the job. 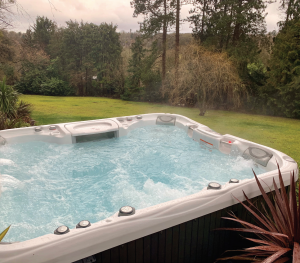 “I feel that our reviews prove this and all of our customers are more than happy with us.” This was the first hot tub purchase for this family, who chose a Sundance Maxxus IP, with a stereo system priced at £17,999. Glynn explains: “As this was their first spa, they wanted this one as it’s a rectangle shape and big enough for the whole family but one that included a lounger. As the largest model with a lounge seat, the Maxxus™ spa has room for up to six adults, offering the perfect blend of muscle relief and plenty of space to socialise. This 880™ Series spa has the best of everything, from series-exclusive illuminated grab bars to the most Fluidix® jet variety. Throughout this model you’ll also find diverse seat options sculpted to harmonise with your body, including a full-body lounge seat, a customer-favourite Accu-Ssage™ Seat and stress and strain fighting Intelli-Jet™ Seat. And, exclusive aromatherapy-releasing air-only jets soothe your skin and your senses while a spacious, stress-melting jetted footwell relaxes your body down to your feet. The delivery wasn’t easy for many reasons especially that the 229cm x 280cm spa weighs over 500kg. 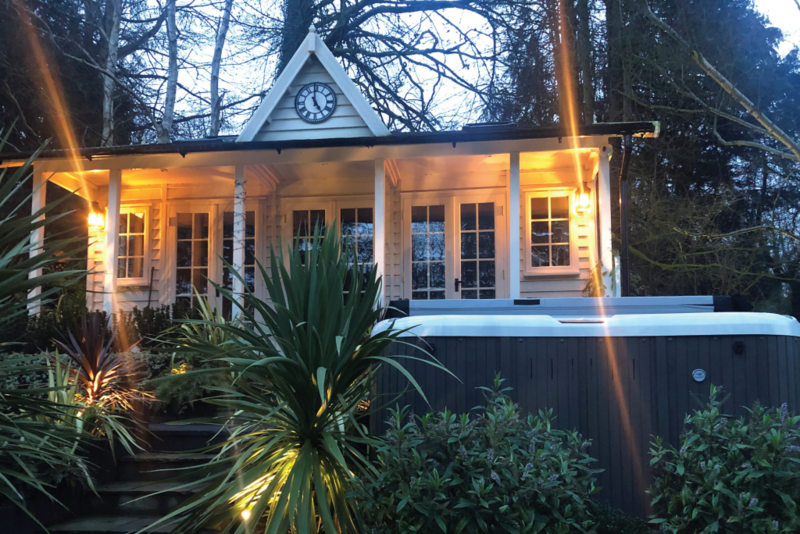 Glynn again: “The owners’ garden is enormous with no access to just drive our trailer to the desired spot, so we had to use our spa dolly and four guys to deliver it. “We had to get the spa off the driveway and downhill to the side of the garden. The terrain was very uneven. Then we had to pull the spa uphill, again on uneven terrain, and had to move the spa into position. Following the installation, Glynn returned to the property to complete a full handover process including chemical training.